Today’s NZ Herald editorial willfully distorts the facts behind the Citizens Initiated Referendum on asset sales. It so doing, it’s main focus serves to discredit the referendum, encourage people not to vote, and thus implicitly supports the Key government’s asset sales programme. But this one is different in one respect. Previous referendums were initiated by groups outside Parliament, they were genuine citizens’ initiatives. This one was initiated by the Green Party. It willfully ignores all the others involved in initiating the referendum, especially ignores Roy Reid, in order to spin a story against the Greens and in favour of the government. The Greens had as much to do with initiating the referendum as the Labour Party, Greenpeace unions and various other citizens. The petition was organised by the Keep Our Assets Coalition, which included, a “coalition of groups including the Green Party, Grey Power, Council of Trade Unions (CTU), Labour Party, New Zealand Union of Students’ Associations (NZUSA), Greenpeace and others”. A referendum will be held on asset sales after confirmation that a petition under the Citizens Initiated Referenda Act gained the support of 10 per cent of eligible electors. The editorial integrates smears against the Green Party with the whole process of referenda, thus attempting to remove one process by which citizens are given the opportunity to express their views on significant issues. Not only that, the Greens used some of their parliamentary funding to pay people to circulate the petition. All this because they failed to get their way in the House. They have discredited – not to say corrupted – the citizens’ initiative, reducing it to a second serve for privileged players. Discrediting the system might not worry the Greens very much. They’ve been happy when governments ignored referendum results that would have reduced the number of seats in the House, imposed hard labour on violent criminals and, most recently, reversed the anti-smacking law. When the inconsistency of their position on the smacking referendum result was pointed out this week, the Greens argued the Government was right to ignore that one because there had been broad parliamentary support for the anti-smacking bill. They clearly miss the point of non-binding citizens-initiated referendums. They are designed precisely for issues where a considerable body of public opinion feels it has not been heard with sufficient force in Parliament or any other forum. It would be hard for the most inveterate opponents of asset sales to argue their view hasn’t been represented with enough force in Parliament and the media. The Greens broke no laws or parliamentary regulations ….. oh, and the side swipe at the (so-called) “anti-smacking” Bill …. … who initiated the referendum against that again? Ah, yes, someone with $450,000 to spare; someone with a lot of money who has since stood for local body elections, was a candidate in the 2011 parliamentary elections, and is planning to stand in next year’s parliamentary election: Chemtrails Craig. So, according to the NZ Herald, it’s not anti-democratic for a wannabe politician with more money than most citizens to organised a referendum, but it is undemocratic for a coalition of groups (made up of a diverse range of citizens and led by a citizens’ group) to work together, to initiate a referendum. NZ Herald editor/s, continuing to spin, and distort facts by selective reporting and omissions of the full facts, in favour of the National government. After that democracy under threat headline years ago. Propaganda rag for the Tories. Who paid for this anonymous editorial. Herald editorial smears DEMOCRACY, in any size, shape or form. Herald’s message: The ends justify the means. Taking decision making from the majority of the people and turning it over to the government, their bureaucrats, or private contractors is A-OK. The best bit about the argument that CIRs are just “a second serve” is it completely ignores the simple fact that hundreds of thousands of people had to sign the petition to get the CIR. This isn’t the Republicans shutting down the US government. It’s a basic process of our democracy, and the Herald’s anonymous editorial writer is just pissy that it’s been used by people he or she doesn’t like. Who are the biggest sponsors of the Herald? Giovanni Tiso dealt to the awful corporate media at Radio Live by contacting their sponsors…. Think it through. Those corporates only pulled their advertising from Radio Live because of widespread, non-partisan social outrage. This has no hope of anything similar. “Genuine” citizens initiative?! Sorry, the pro-belting referendum was the work of a pack of orchestrated militant anti-Labour fundamentalists like Colin Craig, Family First’s Bob McCoskrie, and other Christian Right pressure groups. And, in Family First’s case, there are some interesting questions about funding from a US Christian Right pressure group, the World Congress of Families. Unfortunately for fair and balanced reporting, it would seem that the main financial contributors to the New Zealand Herald, via their advertising, are big box retailers, second hand car salesmen, real estate agents and undertakers. These are not the sort of people who might respond critically to the misinformation purveyed in this farce of an editorial. To the contrary, it reads as though it has been written specifically for them: the unthinking, small-minded, greedy, graspers who populate National party branches up and down the country. I’ve never wasted my time reading that rwnj rag, and getting my mind fucked by their garbage. This referendum just demonstrates how stupid people can be , we had democracy , the last election , National WON , policy , Sell % 49 of selected assets. Next year will be interesting when the govt starts construction on new Schools, Motorways , Hospitals etc ect , all funded with the proceeds of the asset sales/transfer. What will people think when they realise they have been conned by green/labour into wasting $9 million on a pointless referendum . What the left has done is to gift the NATIONAL a golden opportunity to rubbish the stop every thing greens/labour ,every time a new Housing, Hospital ,Motor Way , School etc etc project starts they will rub it in, FUNDED FROM ASSET SALES, you were fooled buy green/labour , this could turn out to be a massive own goal. The bottom line is this is simply money from one group of assets is being transferred to a new group of essential assets. There was a general election in 2011 where more people voted for parties that were against asset sales, there were thousands more who voted for parties that stated reservations about the sales. Due to the way the numbers fell National got a mandate to govern, however due to the numbers that voted for parties against asset sales, if the government were genuinely interested in governing in a manner that aligned with the views of the citizens of this country it was perfectly clear from the election results that asset sales were not wanted. This result did put National in an awkward position however saying they got a mandate to sell assets from the election results is simply spin and bull. If anyone is wasting taxpayer money it is those parties currently running this government – the referendum in this sense was not needed – those running the show already know what NZers feel on the subject and have ignored it and have wasted a lot of our collective wealth on a number of fronts from having done so. As for the message of referendum being a ‘waste of money’. I have heard this message repeated endlessly by members of parliament on the parliament channel. Finding out what the people think is one of the most important principles of democracy. Spending money on that aim is not a waste of money no matter how many times National party members say it. Spreading such an anti-democratic principle (that referendum are a waste of money) whilst being paid large salaries by ‘the people’ to represent ‘the people’ whose rights they are undermining by such talk is reprehensible behaviour. Perhaps members of parliament spreading these ideas should move into the private sector and make way for those who actually respect democratic principles. More people voted for parties that were against selling assets than for selling them and that excludes the UF party which never made it’s position clear. 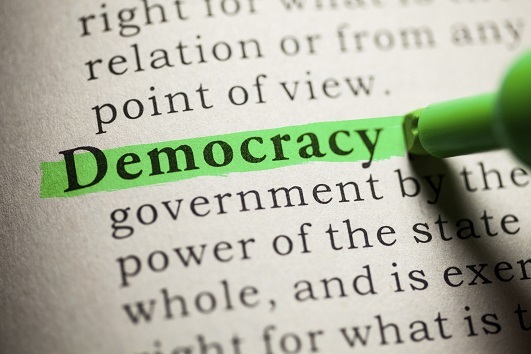 Also, democracy is an ongoing affair – not something that only happens once every three years no matter how much the authoritarians on the political-right want it to be that way. All of which need to be funded via taxes rather than selling the commons else our economy collapses as it has always done when the profiteers have gotten hold of the commons. BS, the assets sales are about transferring the commons into the hands of the rich so that they can have even more wealth and power at everybody else’s expense. The money that the shareholding bludgers get in dividends has to come from somewhere and that is the people of NZ. rich the other, you are either a conman or you’ve been conned. The asset sales are a MASSIVE waste of money that results in long-term loss of income for the government as well as a short term loss. They are an utter, abject failure. We could have been building schools, housing, raising pay and standards for public service workers including teachers, doctors and nurses all from the DIVIDENDS of these profitable corporations but instead it’s squanderd for a short-term and ultimately illusory gain. National got in on 37% of eligible voters… That is not a mandate to say they have a majority just spin. Referendums are there for a reason and if you still believe the majority want Asset sales what is your problem with it? Why should the Herald be lying? Why is National borrowing $229million a week the entire time they have been in since 2008, paying $240million to an Australian Co, to sell the Assets! and you are worried about $9million to have a real say by the people democratically! Bizarre! The money isn’t being transfered to other assets it is just a spin to open our day to day costs to private investors. “In our time, political speech and writing are largely the defence of the indefensible”- George Orwell. Knowledge of good and evil is from thee”. Those who have wasted taxpayer money are not the Greens it is those parties who chose to ignore what the citizens of NZ told them in the 2011 general election. Ignoring a clear message from the people in a democracy damages the whole functioning mechanism of a democracy. The more people who believe ‘it makes no difference whether we voice our opinions or not’ the less people actually engage in this system and the system then degenerates. I am very grateful to the Green Party that they contributed some of their funds to make this referendum happen, it was going to happen whether they did that or not and by getting involved in this way the Greens have actually mitigated some of the political damage caused by the obtuse approach that the parties currently in power chose to pursue. Rich the other why would you sell your long term income generating assets to build non income generating assets. Short term thinking by short sighted idiots. You will be paying more tax in the longterm to make up for the shortfall those assets returned in dividends to govt. The money from sales will be used for election bribes 2014. It is still a waste of money becuase it will not affect the progress of sales. I think the sale is wrong but I also b elieve that the government is balancing the options and making a good decision. Wehave been selling the family silver for generations now and we came through the world depression fairly well so while I don’t like it I accept there are good reasons to do it. There is a difference between government and family finances. Another waste which got me raging yesterday but the Standard was down was the card I received on the subject from the Labour party, more waste of taxpayers money ….. about four days too late to influence me anyway …. more clueless party organisation. One thing it has provided some money to NZ Post to keep employing posties a bit longer. You dont make your voice heard in a referendum for the Government’s sake. You make your voice heard for your own sake. It is still a waste of money becuase it will not affect the progress of sales. It’s not all about the sale process. It’s also about what the people think of the sales and getting a measure of what they would be willing to do to undo the sale. Wehave been selling the family silver for generations now and we came through the world depression fairly well so while I don’t like it I accept there are good reasons to do it. Except that we really didn’t (national debt is still massively high) and that there isn’t (we become worse off). jcuknz that makes no sense. Either the sale is wrong and the government is wrong, or the sale is good and the government is making a good decision. The expense of the referendum is tiny compared to the hundreds of millions the government has spent on consultants and advertising alone for this asset sale folly, and the result is miserable failure. It’s very simple: vote no. Is that really how you interpreted the editorial? I think you’re off the mark. Except, the NZ Herald skewed its argument by claiming that the Greens initiated the referendum. It didn’t. The asset sales referendum was initiated by a non-citizens’ group: grey power – not a parliamentary party. It was supported by diverse individuals and groups, including some political parties. Colin Craig is a wannabe politician with more money than most citizens. He used his referendum to raise his profile and profile for his views on the “anti-smacking” bill. Which is more democratic – grey power initiating a referendum supported by a range of groups made up of diverse citizens, or a wannabe politician with enough money to support a referendum on his own? I think the Herald felt the CIR process was hijacked by the Greens, in particular by them using their parliamentary funding to circulate the petitions. I agree with the editorial. What the Herald conveniently ignores is that Political Parties are made up of citizens who have every right to mobilise the organisations they belong to. The Herald lives in a world where political parties, like Trade Unions, exist in a world devoid of workers or citizens hence the lack of balance in itseditorial. they are shitting themselves they saw that 9% swing to over the last few days and the herald national party propaganda rag is shitting its self . dont be fools Auckland dont be brainwashed by the corrupt right wing media for another second .only dictators and Communists and fascists ignore a super majority of the people expressed in a vote . NOT ONLY IGNORE THEM BUT THEN DO AS KEY IS IMPOSE THEIR WILL ON YOU THE PEOPLE ANYHOW .labours cursing into election winning numbers their at 40% a huge increase since the referendum . national wont thld their vote as the right wing religious conservative teleban will peal tons of votes of national and not make it in to parliament.most people know the herald is a biased pro national rag .look at all those coalition partners labour have to choose from . ps THIS WILL STOP YA BLUE HEARTS THE MAORI PARTY IS NOT COMING BACK THEY ARE 30% BEHIND LABOUR IN THE MAORI PARTY SEATS TODAY .EVEN UNTURIA SEAT SHE IS LEAVING THEY ARE 30% BEHIND LABOUR THERE WITH TURIA RETIRED ITS OVER NATIONAL YOUR LIKE A CORNERED ANIMAL WITH NO WERE TO GO .